Your smile is yours forever, and we want to make it as easy as possible for you to receive the best dental care when you need it. 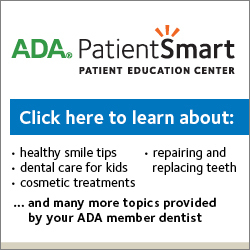 The cost of your dental treatment will vary depending on your individual needs and treatment plan. At MCDC, we will discuss your treatment and all your available payment options before you begin, so you can make the best choice for you and your family. We participate in Care Credit, which provides financing options. Our friendly office staff is always available to help you with understanding your insurance coverage. Copays are expected at time of service.